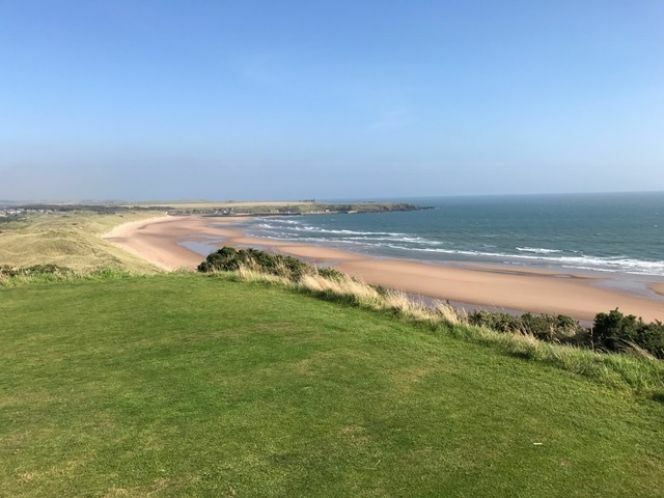 An Unbelievable Day at Cruden Bay! 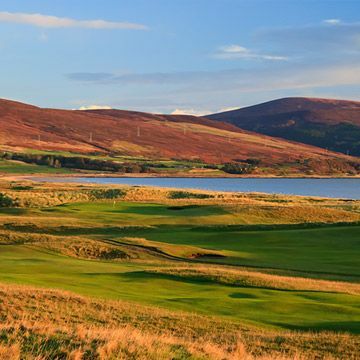 1 of 50: Brora Golf Course - April 11th 2015 - A wonderful day for one and all - Off with a smile! #20: Lochmaben Golf Club: Gracie, Maisy and their Grandfather, All Smiles and Pure Delight! 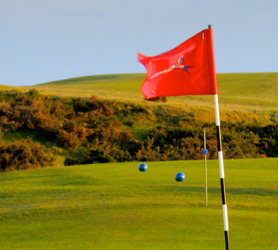 You are here: Home › Blog › #20: Lochmaben Golf Club: Gracie, Maisy and their Grandfather, All Smiles and Pure Delight! Lochmaben Golf Club is pure delight! From the moment one steps out of the car, you know this is someplace special. Possibly it’s the friendly, but dry welcome you get from the man behind the bar, cheerfully going about his work as he jokingly asks, ‘You going to play alone! ?’ Or possibly it’s the beautiful light that effuses from Kirk Loch throughout this amazing, pristine course as the evening drawing to a close. 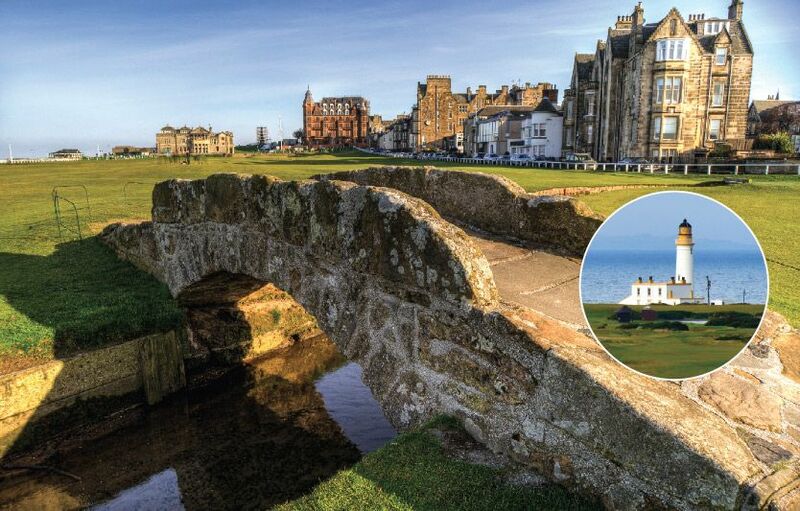 Or maybe it’s simply the father and son finishing on the 18th having enjoyed some special time together, juxtaposed, the friendly smile of the Green’s Convener telling me about the club as his lovely granddaughters dance around the first tee. Whatever it is, the warmth, fun and energy of Lochmaben Golf Club bonds itself to you and you feel its kindle long after you have left. Lochmaben has an important place in the history of Scotland too, as the birthplace of Robert the Bruce. The town takes its motto, ‘From us is born the Liberator King’ and here he is overlooking the main square. And what a king he was! Lochmaben Golf Club has not escaped his sway with its second and third holes entwined in the footprint of his 13th Century castle, there one finds inspiration and joy. Or at least this golfer did. 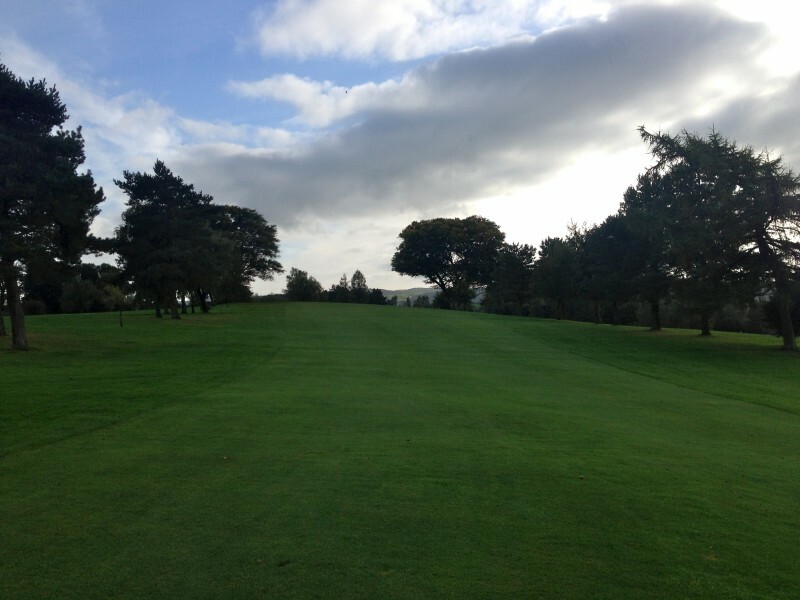 Lochmaben Golf Club was originally founded in 1926 and designed by James Braid. As my new friend Billie behind the bar says, ‘That boy, Braid, he was good on his bike!’ So Lochmaben is part of the Association of James Braid Courses throughout Scotland and the world. 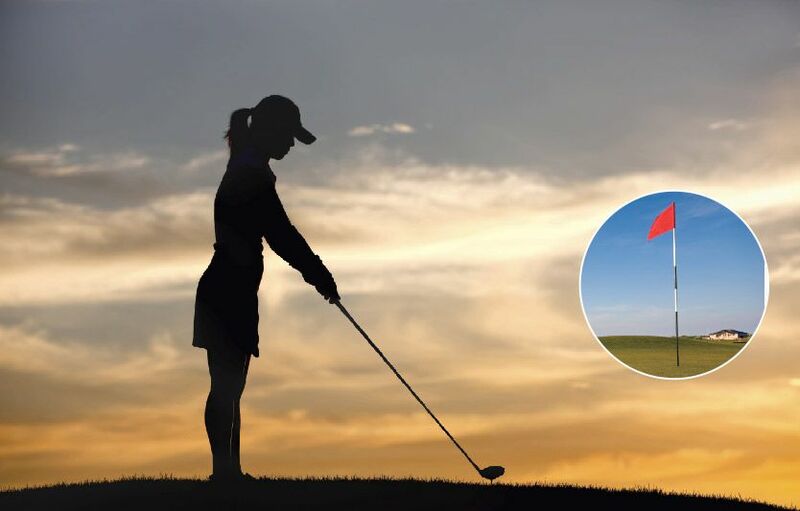 Lochmaben has all the classic hallmarks of a James Braid course, from his signature invention of dog leg holes to his wicked placement of bunkers around the greens and in the fairways to entrap and entice the golf ball. Danger over the water, with the bunkers protecting a wickedly fast green! A blind up hill hole ... hit and hope! A nice dog leg right - quite a challenge it was! It was a pure delight to play golf around Lochmaben taking in the beautiful scenes around the countryside and Loch Kirk. 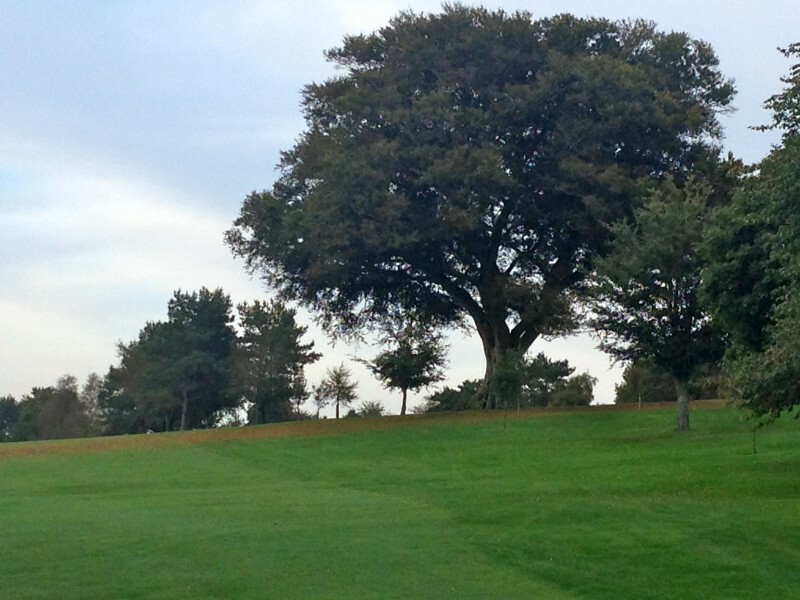 There are a fantastic number of ancient trees on the course and Billie said that a previous member believed that of the 35 types of Native Scottish trees, Lochmaben's course has 32. He did not know which three had been left out, but I will have to get back and work it out for him.... And have another round, of course, in the process! While the rest of the country was getting drenched by rain, Lochmaben was bathed in sunshine. Its such a beautiful course. It seemed to me the sun came out to remind me just how lucky I was to be in such a place. I was famished by the 18th, as I realised that I missed lunch in my desire to play golf (which seems to be an all too frequent event for me these days). So I had a brilliant evening meal in the clubhouse watching the geese fly into Loch Kirk to settle for the night. But before I left I had to ask why there seems to be two greens at the 15th. It had confused me to see them both on the course map as well. And with a laugh I was asked how I liked the existing 15th green. I had done quite well on the 15th as its a par 5. But apparently there have been many a 10 from that green alone! So after years of complaints, the green is about to be changed for next season. It looked to me that while the green might appear kinder, the approach through a burn would leave plenty still to moan about! As they say, 'be careful what you wish for'.... But I can’t wait to come back and see for myself. 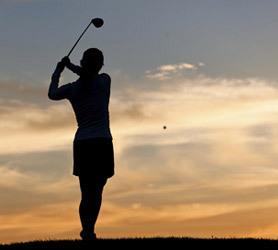 Golf Notes: Lochmaben is 5164 yards for Ladies with a par of 70. 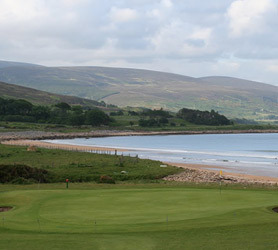 It has some terrific short par 4‘s and some challenging par 3‘s so it’s really great fun. They have golf buggies and trolleys for hire. 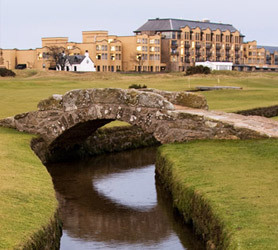 The clubhouse is great overlooking the course and the food is wonderful. the latest news and offers!